Herzberg’s Motivation Theory argues that job satisfaction and job dissatisfaction each acted totally independently of each other. So what does that mean? The theory says that, in a working situation, the cause of job satisfaction has nothing to do with job dissatisfaction. It is clearly not the opposite side of the same coin. Herzberg’s Motivation - Hygiene Theory is often called the ‘two-factor theory’. He reasons that what causes employee’s to achieve dissatisfaction at work is not the opposite pole that causes satisfaction in others. So if one employee is happy at work and is satisfied and motivated by the recognition that the company’s management gives him, it does not follow that a dissatisfied employee is in conflict and unhappy with the lack of recognition. The two ends of the same motivation are not related. Each has a different cause. So, in the above example, the dissatisfied employee was maybe unhappy because of a totally different issue … maybe he thinks he should be paid more or deserves greater benefits. When a group of employees were interviewed and asked what pleased and displeased them about the company, research showed that the issues that caused job satisfaction and motivation was very different from those causing dissatisfaction. So Herzberg concluded that in the work place the opposite of satisfaction is not dissatisfaction. They are independent of each other. Herzberg’s Motivation – Hygiene Theory (as it was known), considered the two different factors. Those factors that created positive responses … job satisfaction, recognition. Those factors that do not create satisfaction … security, wages and benefits. Providing an employee with sufficient challenge in his work and bringing out his full ability is another factor. Greater individual fulfillment and mental agility would also be exercised and taken into consideration. Increasing the individual’s level of responsibility can also be a fulfilling factor for some, thus increasing their feeling of appreciation. This area can have positive effects on absenteeism and ‘calling in sick’ numbers. Using these principles can assist the employers to generate a company of well balanced staff and a win-win situation where everyone can work in harmony. 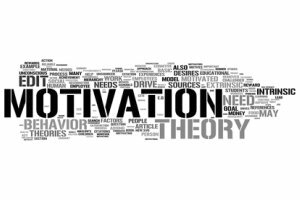 Such situations do not just happen they have to be worked at by management, with an understanding of the various motivational theories, Maslow’s Theory of Motivation, Vrooms Expectancy Theory, and Herzberg Theory of Motivation each provide many valuable guidelines.